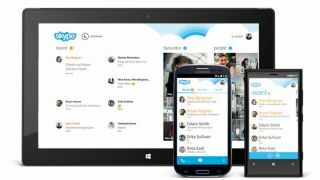 A new version of Skype for Android 4.0 has launched today, promising a faster and smoother experience that's more aligned with the Windows Phone version. The new UI puts conversations at the top with a Metro-style appearance. Skype said, however, that the redesign is more than just a new UI - it's an entirely new app focusing on speedier instant messaging and easier access to contacts. Nothing on a new iOS version, but Skype did say that "this was only the beginning" and that it will have "more updates in the coming months". Make of that what you will.